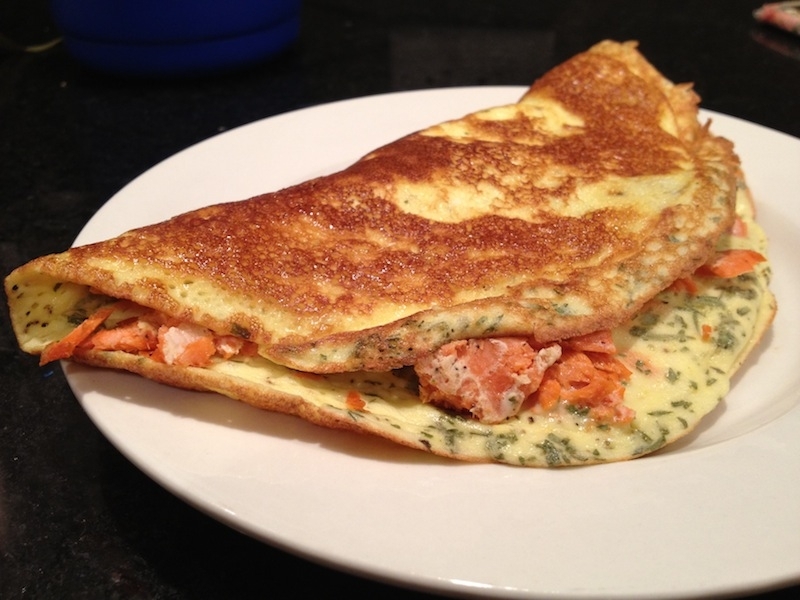 This unique salmon omelet recipe is the perfect start to any morning. It is light, fluffy and delicious!!! Whenever I eat salmon itâ€™s usually seasoned the same old boring way with salt, pepper and lemon juice so I decided to try using some sour cream and tarragon and the result was amazing! Salmon is a great food to try to incorporate into your diet because it is high in protein and unsaturated fats. Salmon contains one of the highest levels of omega 3 fatty acids. 8. Place on a dish, spread the butter over the top of the omelet, and enjoy!